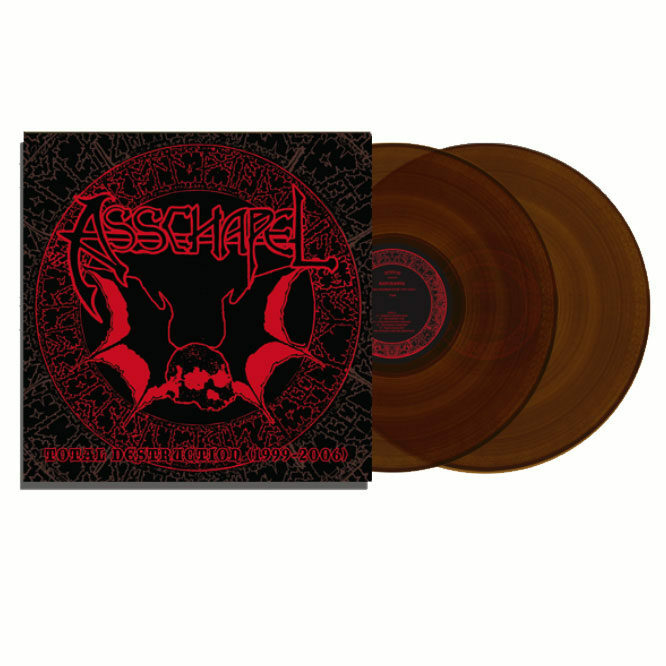 2xLP housed in double-LP gatefold-jacketed package with a poster insert and 13-song “Live Through Destruction” DVD. 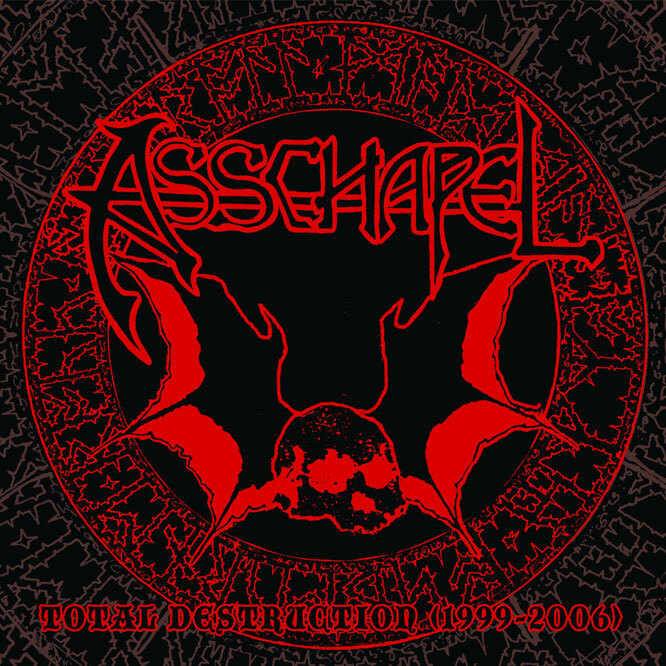 Behold the only remaining relic of ASSCHAPEL’s existence: the band’s thirty-one wretched tracks of total destruction captured during their lifespan between 1999 and 2006, here collected with Total Destruction (1999-2006). 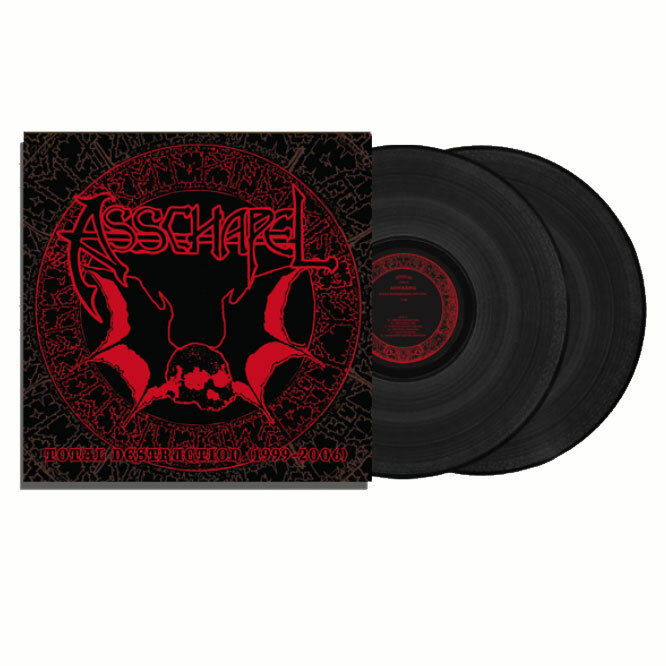 This gathering of tracks will hold the scriptures found on the band’s Fire And Destruction, full-length, Total Worship LP, Satanation & Rotting the Body 7”s PLUS Live Through Destruction live video, all bound in a Stoughton double-LP gatefold-jacketed package with a poster insert.